I Am A Camera have a new track, ‘Factory Boys’, based on the true story of The Dupont Twins – two teenage boys who lied and tricked their way from their home on a gas station in the US Mid West all the way to the heart of the legendary New York club Studio 54 and into the lives of the likes of Andy Warhol and Halston. 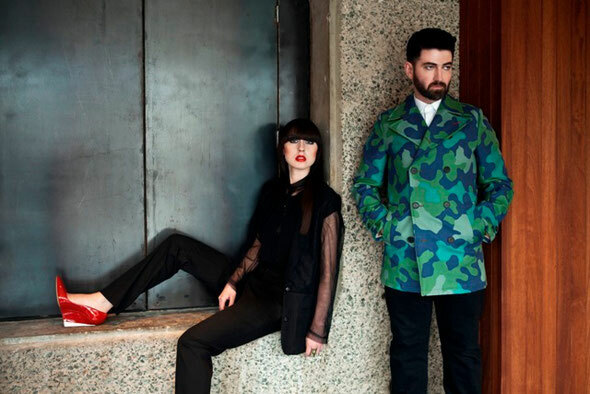 The duo is Mancunian Francesca and Northern-Irish Londoner Ian, brought together by a love of drum machines and drama. Along with Ian’s love of John Carpenter, Robert Mapplethorpe and HAL from Space Odyssey:2001 comes Francesca’s love of Astrid Kirschherr and Brian Duffy’s photography, Spike Jonze, Le Tigre and 60 Minute Makeover. “They went from being penniless orphans to being paid by Warhol in Quaaludes and Screen Prints to hang out with him,” explains Francesca. “We love the story. It proves how reality can be just as amazing as any fantasy you could make up,” says Ian. They recently re-mixed Lana Del Rey’s sublime ‘Born To Die’ to great acclaim and a top five place in Hypemachine. The band recently played The Proud Galleries and is currently planning a set of live dates across the country. 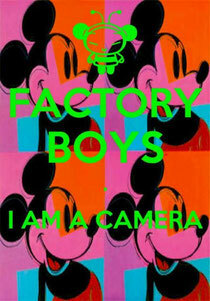 ‘Factory Boys’ is released on Sunday May 27th with a whole load of remixes to cover all moods. The band have produced, directed and filmed the video themselves, which they shot on their iPhones.